Cornelius Pools has been manufacturing above ground swimming pools since 1967. The company started out building in-ground swimming pools with steel walls and vinyl liners but in 1971, the company switched over to manufacturing of above ground pools. More homeowners were looking for an affordable way to have a swimming pool and that is where Cornelius Pools came in. The company started out as a regional swimming poll company but soon expanded into global sales. The company uses current technology, innovative designs and high quality materials for their swimming pools. They use great designs and the most colorful liners and accessories. If you are looking for a great and affordable way to stay at home this summer, take a look at some of the above ground swimming pools that Cornelius Pools has to offer. The Miramar Above Ground Swimming Pool is made with the strongest materials; the above ground swimming pools come with walls, a sub frame, frame along with a solid foundation to create a well constructed above ground swimming pool. The Miramar Above Ground Swimming Pool comes with a heavy gauge steel wall with a wide mouth cut out skimmer. The steel is hot dipped and sealed with baked enamel weatherizing paint coating to protect the pool against the elements. The Miramar is a pear shaped swimming pool that comes with 6″ extruded resin ledge that comes with a 6″ steel post that is protected with a polyester paint a top coat of Krystal Kote. The pool comes with a molded resin lower post that secures the pool in place. The Miramar Above Ground Swimming Pool by Cornelius is available in sizes from 12 feet to 33 feet round. The Cornelius Olympia Above Ground Swimming Pool is made with heavy galvanized steel walls to ensure that the structure of the pool is strong enough to withstand the outside weather. The gray colored poll frame has a huge 8″ Plastisol Coated Steel with a coupled 7″ Plastisol coated steel posts for durability. The Olympia pool was designed with a 3 piece injection molded resin cap and post collars. No more scrounging for the right tools to built your above ground swimming pool, you only need a screwdriver and follow the step by step directions provided with the swimming pool. The Olympia comes in round or oval shapes or small or large swimming pools. The round sizes range from 12 feet to 33′ and the oval pools range from 10′ x 16′ to 18′ x 44′. 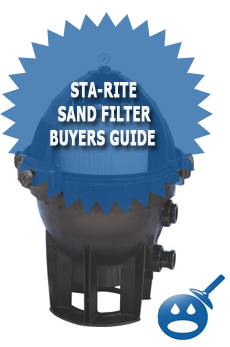 Now you can choose the perfect size for your family swimming pool at an affordable price. The Solex Above Ground Swimming Pool has three main parts, the wall, the sub frame and the frame. The Solex Above Ground Swimming Pool is built with a 52″ steel wall that the manufacturer hot dip galvanized and given additional weather protected coatings. Cornelius coats the swimming pool with their own Weatherizer paint and then they cover the swimming pool with a great looking wall pattern. So not only is your swimming pool 100% sturdy but it looks great as well. The sub frame of the Solex Above Ground Swimming Pool is double rolled steel tracks coupled with big heavy gauge connectors to ensure the pools construction. The pool can withstand any weather that the summer brings. The Solex Above Ground Swimming Pools are available in round sizes ranging from 12 feet to 33 feet. 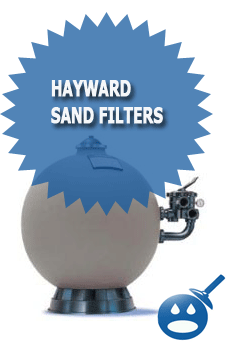 They are also available with A Brace or MBS Oval Sizes that will best fit in your backyard. 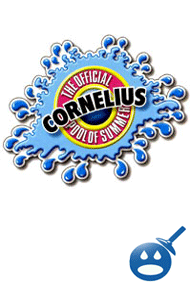 If you are looking for a great way to save money on summer vacations, think about building a Cornelius Swimming Pool. They are affordable and they are made with high performance materials. They are sturdy and reliable swimming pools. Why spend hundreds of dollars on a vacation that you can enjoy at the moment when you can spend the same money on something that will last you many years of enjoyment. I have a Solex above ground pool 18′ x 52″ round. I am in need of the top rail caps as they have deteriorated. Pool is only 5 years old. The cap is two pieces. Do you have in stock. Same Here! Need the same thing and can’t find them. Hello and please help me. I have looked in at a dozen or more website locations in Googles. I have a Cornelius type Oxford round pool. It was installed in Aug 1999. It’s been a great pool. The Cornelius company is out of business. I have a large pool 27′ by 54 inchs deep. I am in need of the top rail caps. They caps come in two pieces. They are also known as inside caps part number 6518 and outside caps part number 6519. I need 5 of each because they are broken. I also have 3 inside caps and outside caps are deterioratedt. So I should replace 8 inside caps and outside caps. My pool has a total of 19 inside caps and outside caps. If I had to I could replace all 19. I have above ground 10×15.4 cornelious oval pool. I am in need of replacing the liner. The store I bought it from says they are the only place that sells it. They are so high priced , online is much cheaper . Problem is nobody has that specialty size. i have a 2004 miramar 52 inch above grd pool – the two piece ledge connectors are crumbling away badly – where can I get new ones ?